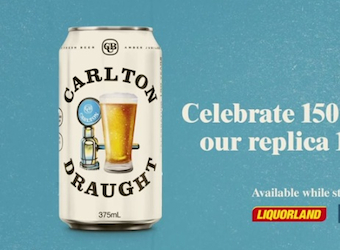 Carlton Draught is going retro for its 150th anniversary, reviving some of its iconic, moustachioed marketing including a limited edition white can and an ad from the mid-80s. Handle bar moustaches, short shorts and some questionable midriff tops take centre stage in the heritage television commercial, which has been slightly refined from its original version to announce the release of the white cans. “The ad will run throughout July and gives people a great glimpse of our past, questionable fashion and all,” said Carlton Draught’s Marketing Manager, Mick McKeown. It was eventually phased out for a more modern look in the late 80s. The heritage cans will be available throughout July or until sold out in Liquorland and First Choice. The ad will be on air on Channel Seven throughout July. 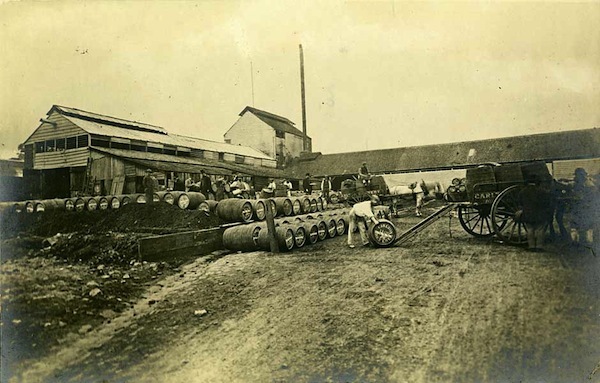 Carlton Draught first hit Melbourne pubs back in the 1860s after Theodore Rosenberg started brewing beer at Bouverie Street, North Melbourne. The company’s advertising has come a long way since the retro 80s ad above when it enjoyed great success in 2005 with its highly awarded viral marketing campaign, ‘Big Ad’.